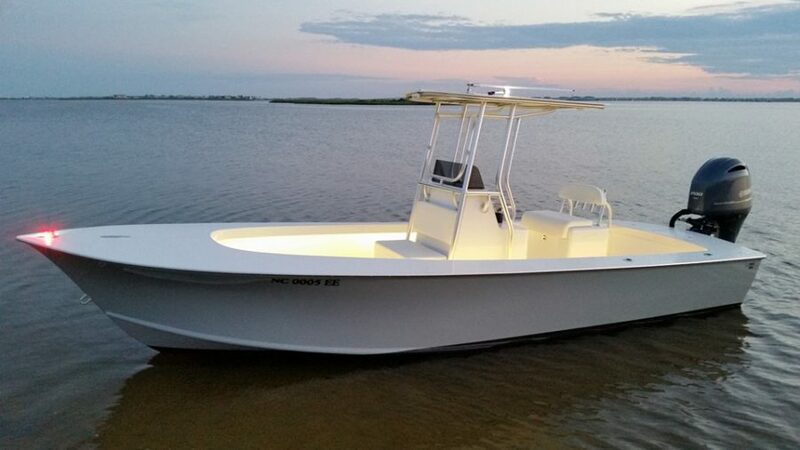 An affordable and efficient 22-footer for shallow water as well as offshore. It is the perfect combination of efficiency and seakeeping capabilities. 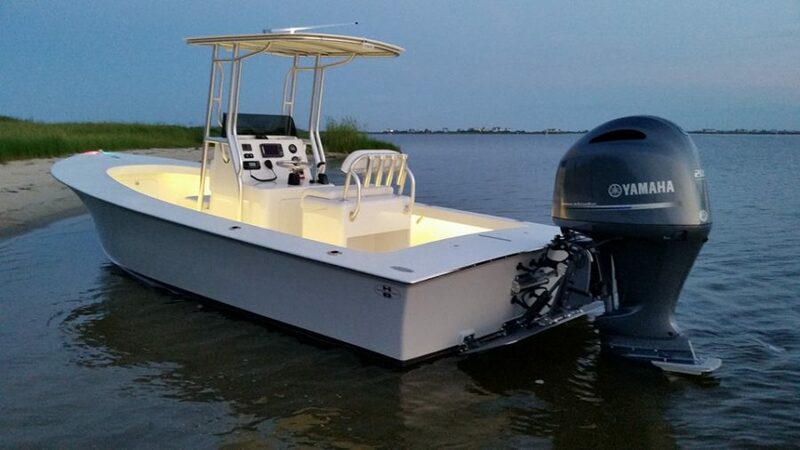 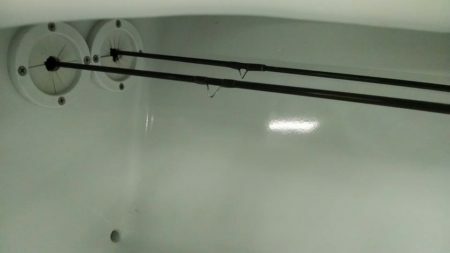 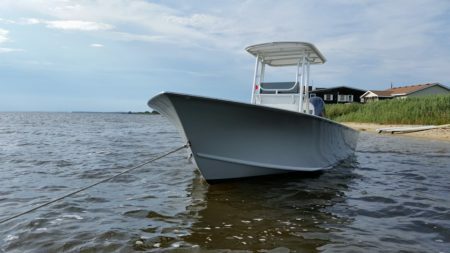 “This boat over delivers and completely blew away my expectations… The boat is fishable in calf deep water. Simply amazing for a 22’ boat that is capable of big-water performance. 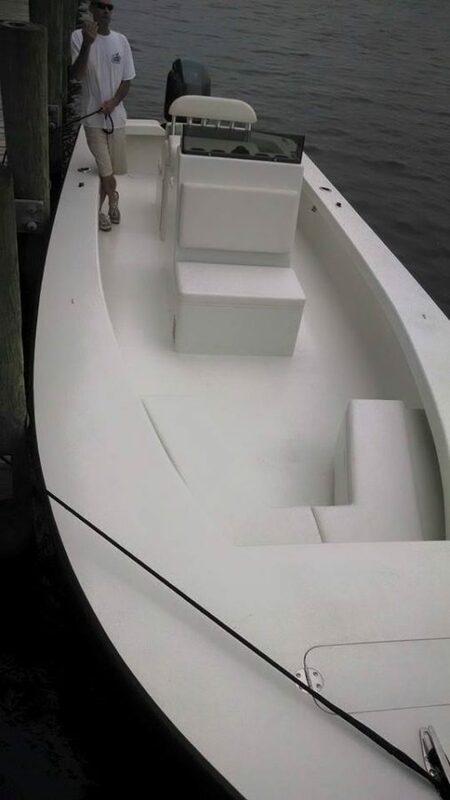 The boat will top out around 39 knots. 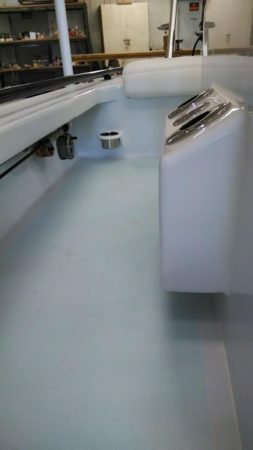 Jumps on plane. 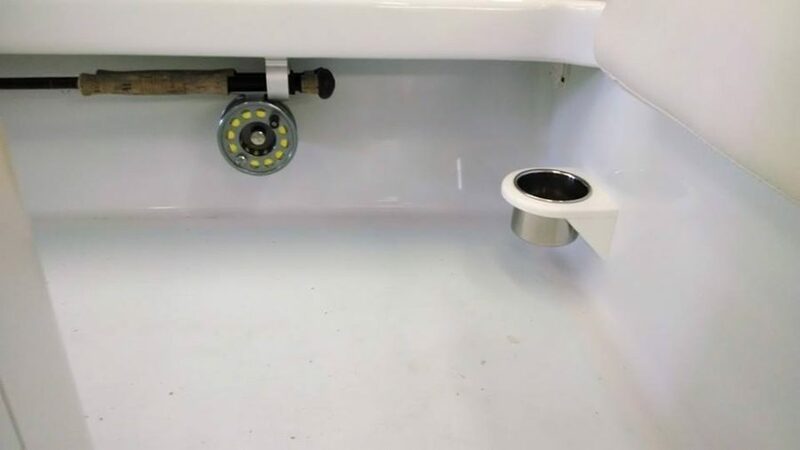 Turns on dime. 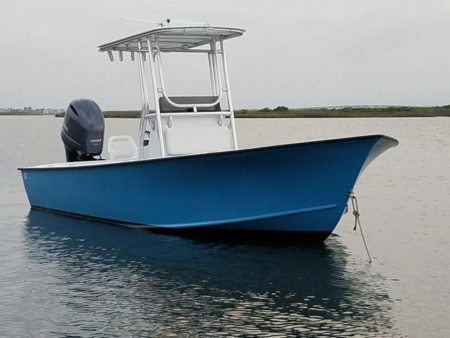 As stable as any big offshore boat… As you probably can tell the grin from ear to ear has not left!” Andrew Hampson, Harrison Boatworks 22′ owner. 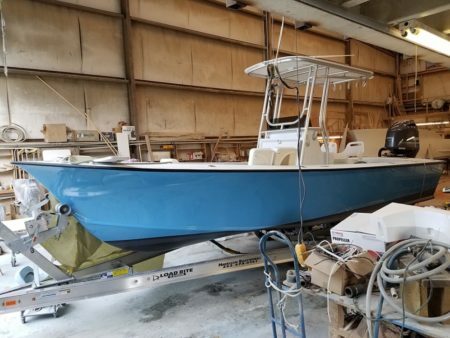 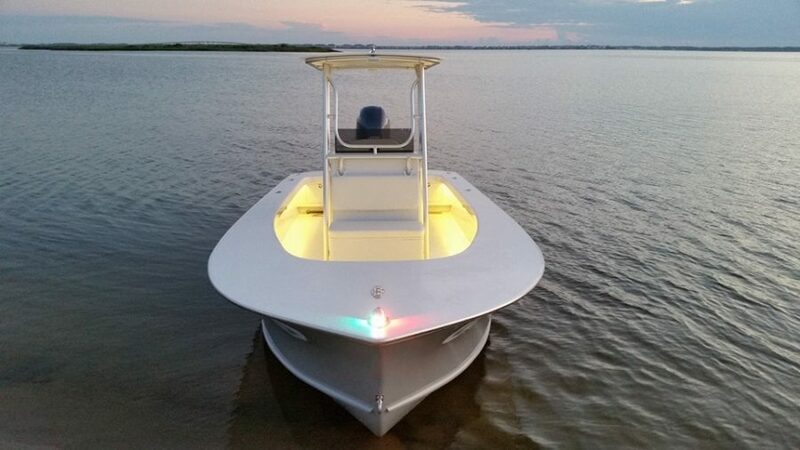 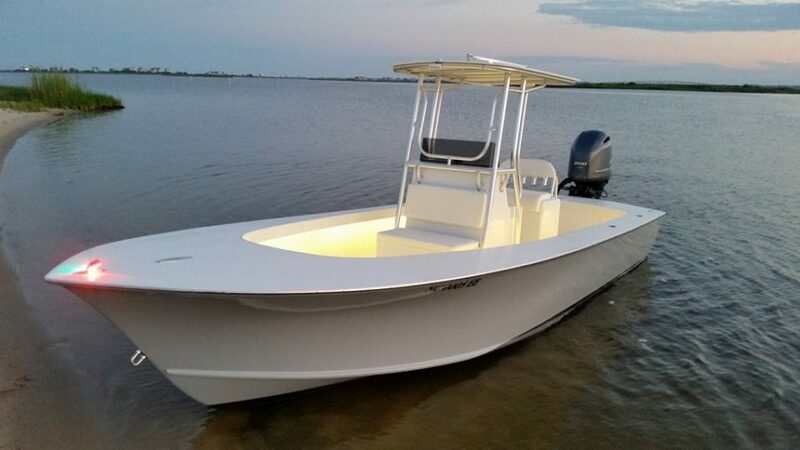 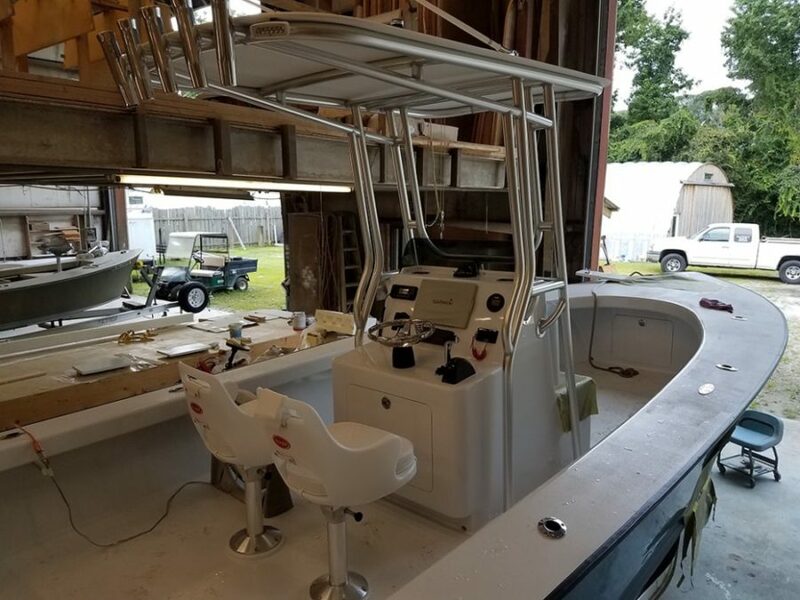 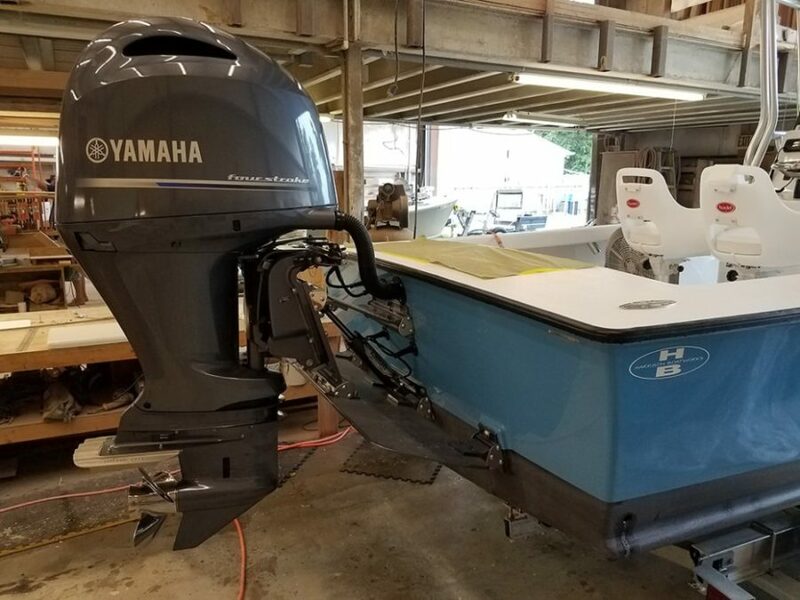 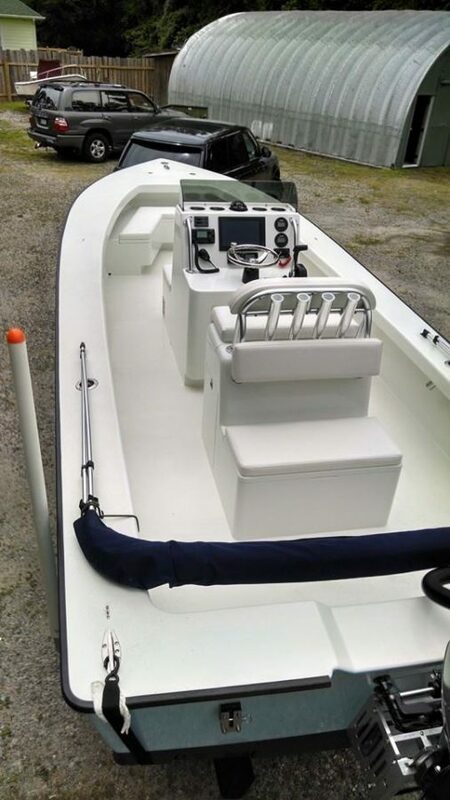 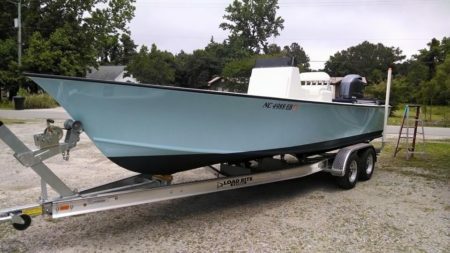 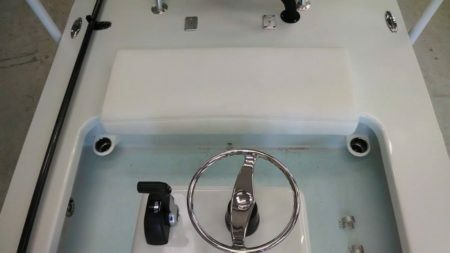 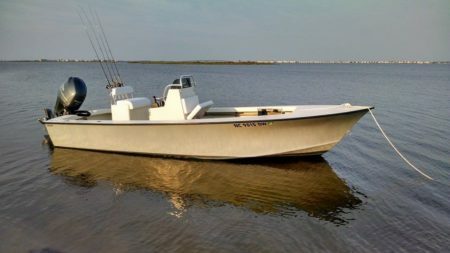 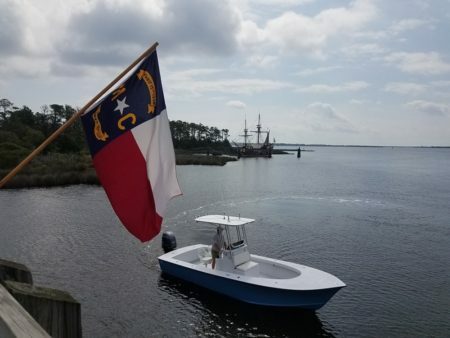 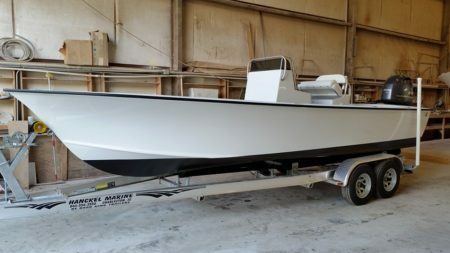 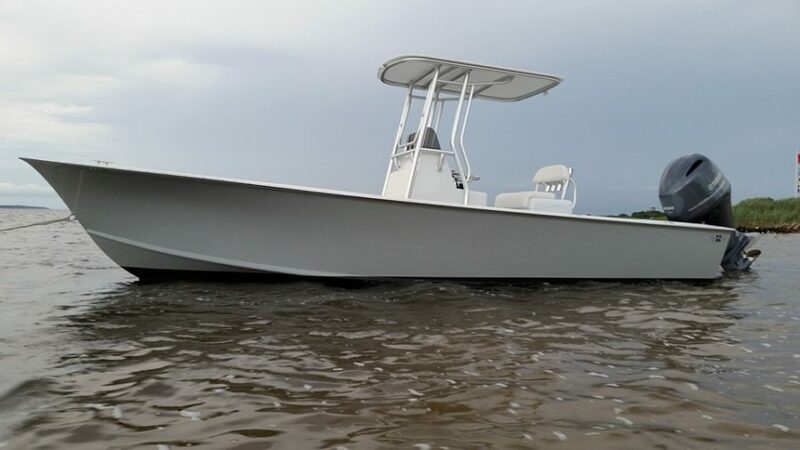 For this design, the challenge was to build an affordable 22′ center console boat that could sneak into the back waters and shallows for drum and trout fishing but also provide a stable and safe fishing platform for a family with young children to go out of the inlet for ocean fishing. 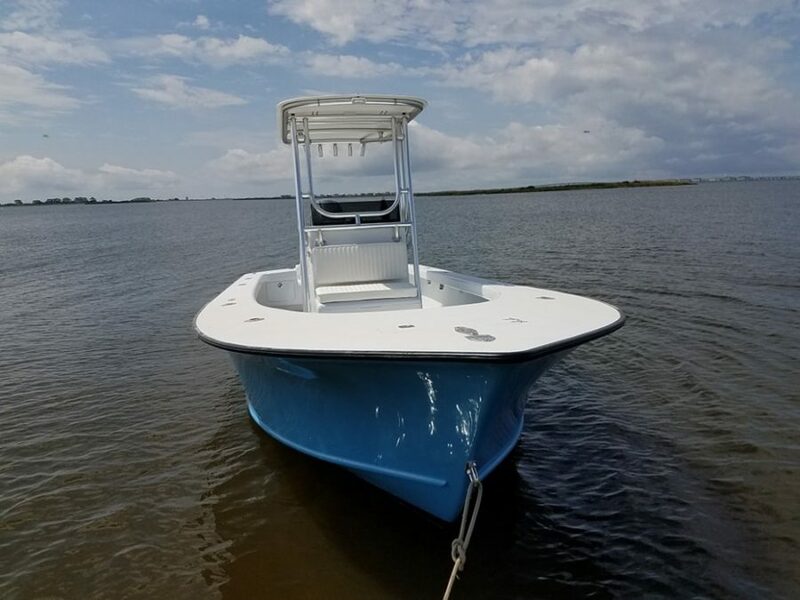 As with all of my boats, achieving these requirements for both shallow draft and seakeeping stability began with the proper running bottom. 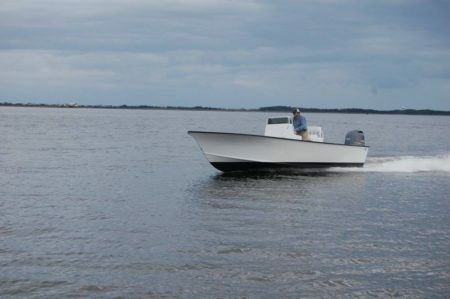 The progression of deadrise from the transom to the forefoot, or entry, is the key. 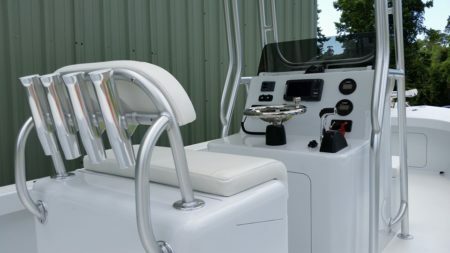 The proper progression, which depends on the length of the boat, is what makes the boat run efficiently and comfortably. 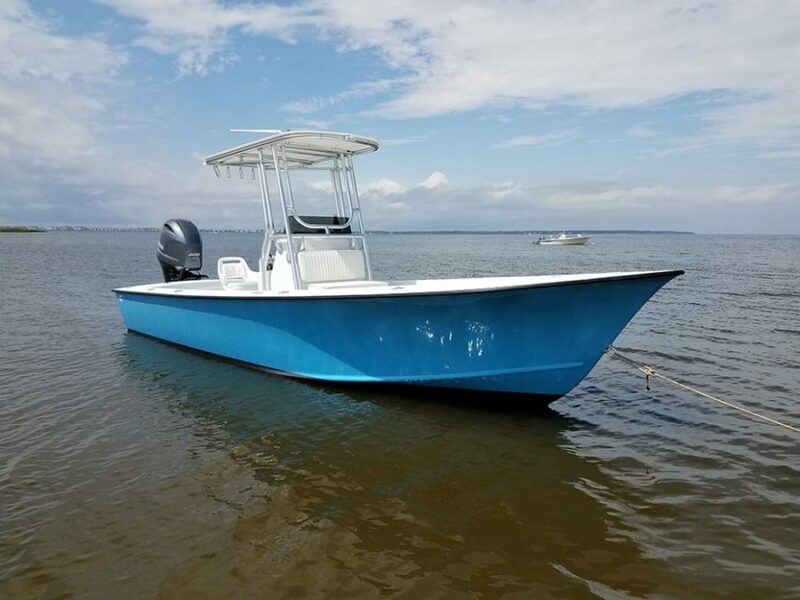 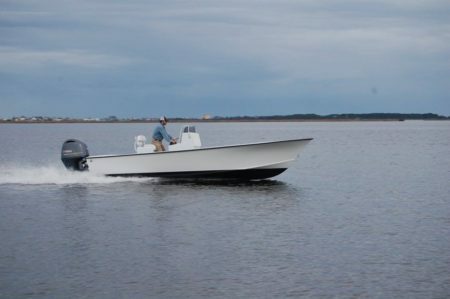 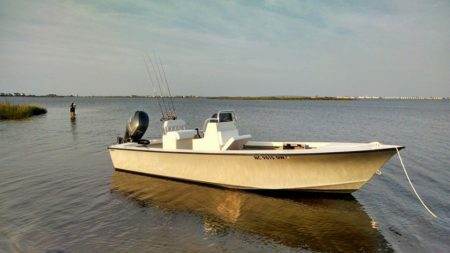 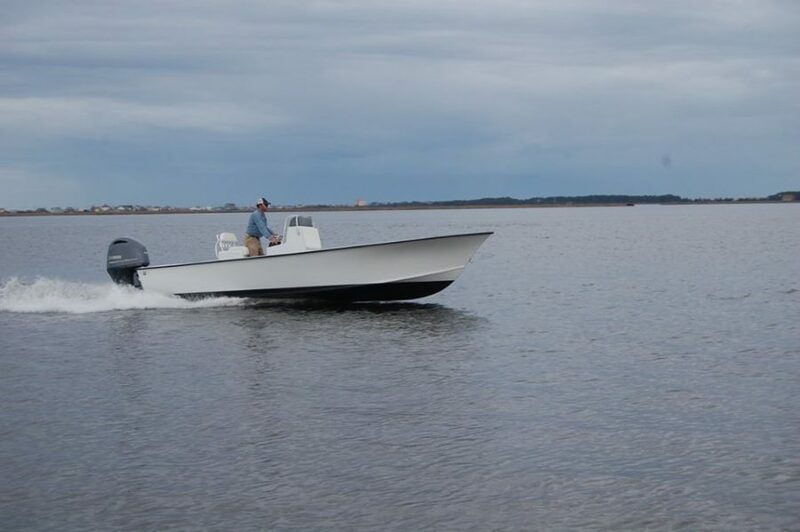 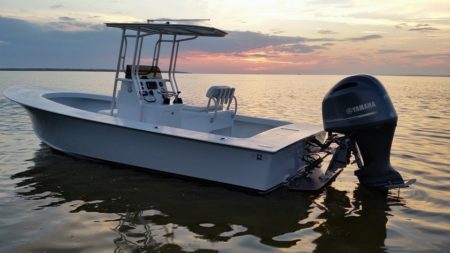 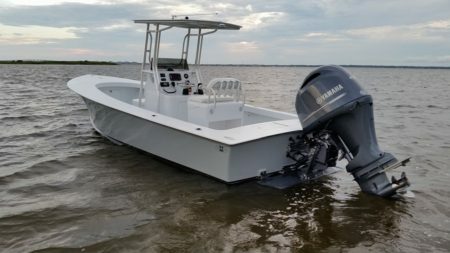 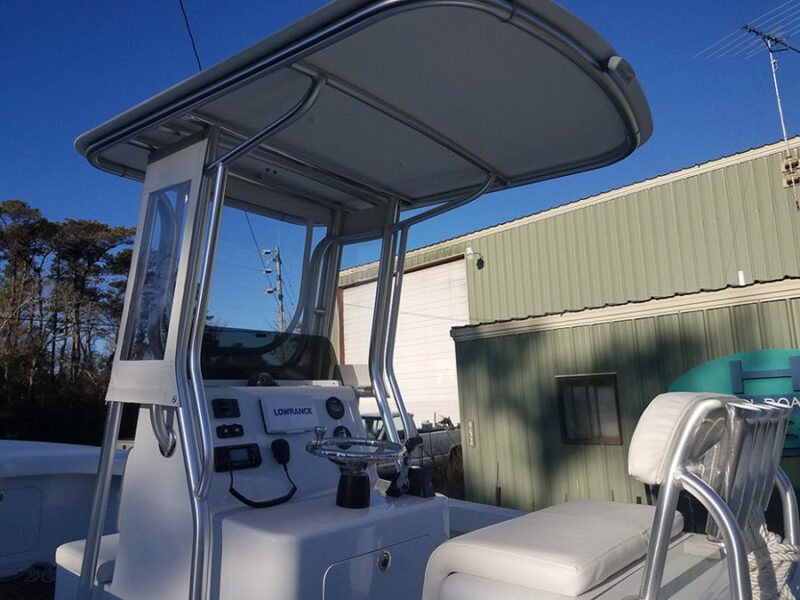 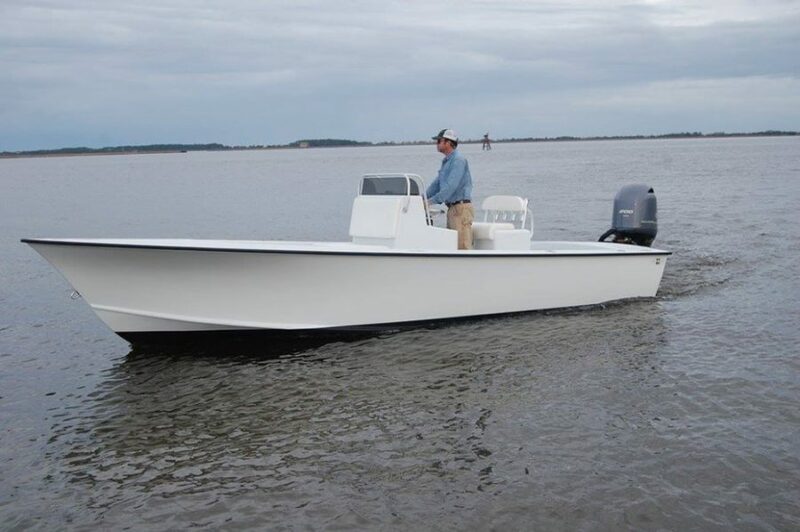 The well-proportioned running bottom gives the Harrison Boatworks 22′ Center Console a draft of 10 inches to run in skinny water and stability while underway and trolling. 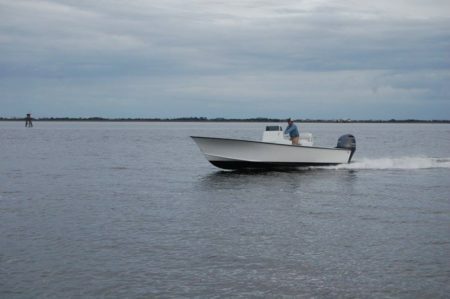 The entry is aggressive enough to allow the boat to run quite comfortably in a chop. 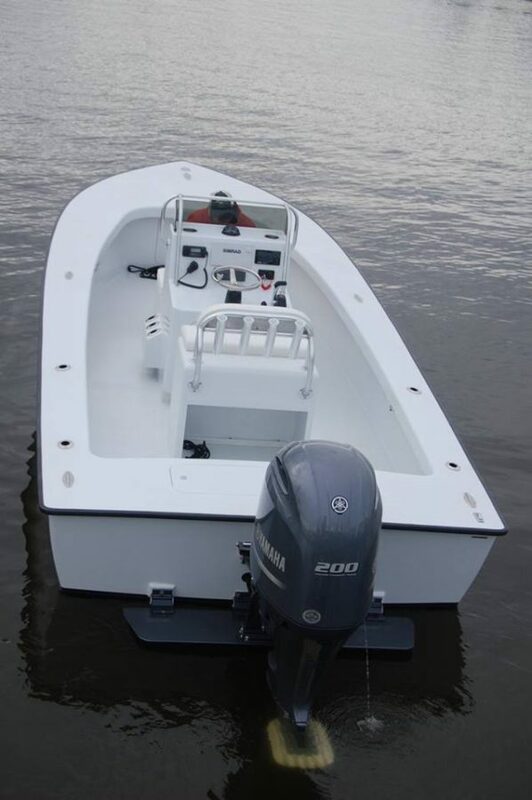 The boat jumps on a plane quickly, cruises at low rpms, is fuel efficient and has a large load-carrying capability. Because of the cold-molding process and the number of glassed-in bulkheads under the self-baling deck, it is lighter in weight yet stronger in build than most production boats. 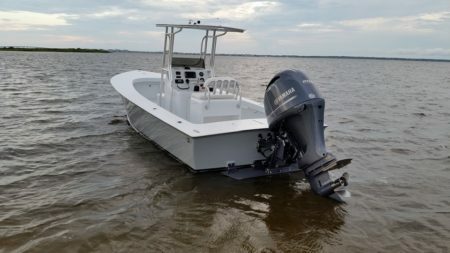 Many other boats of this size have too much deadrise and therefore require double the horsepower and twice as much fuel and take three times as long to get on a plane and double the amount of depth to runs. 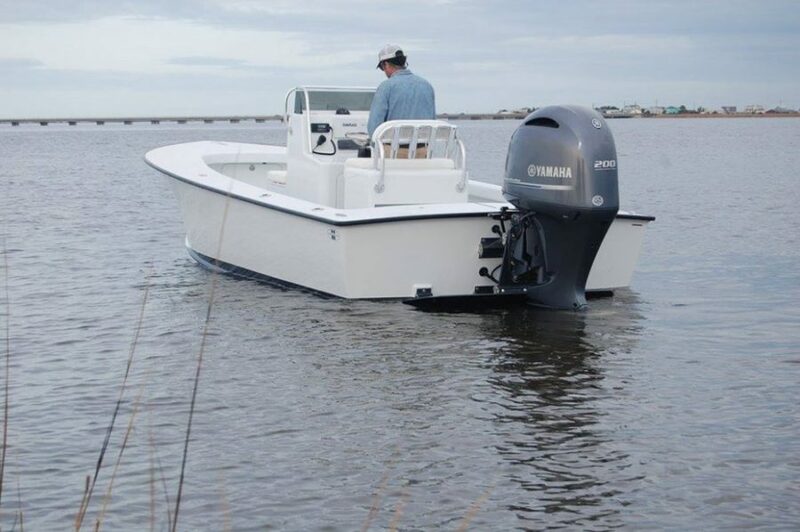 The Harrison Boatworks 22′ Center Console has a power range of 115 to 150 hp, which allows for greater fuel efficiency. 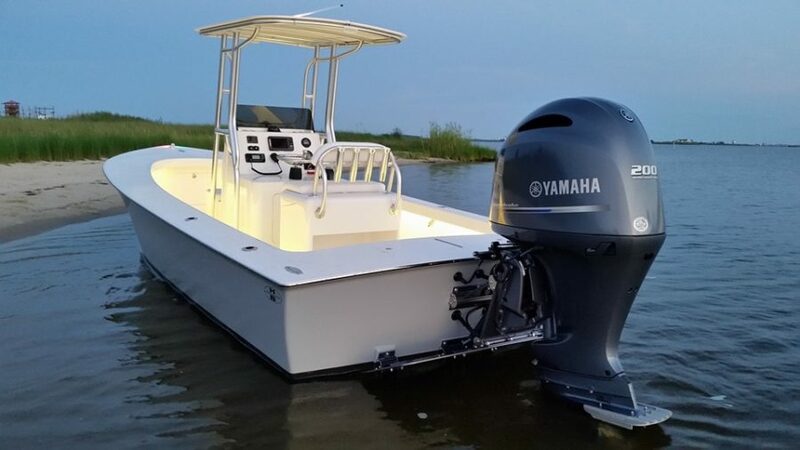 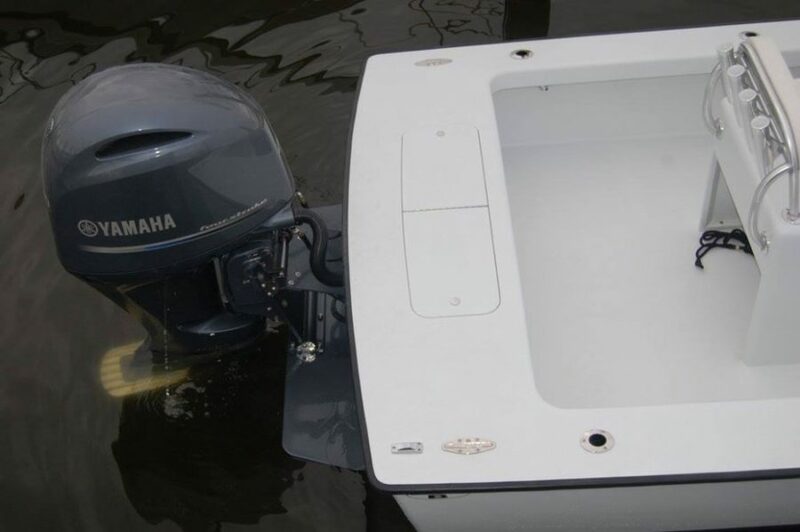 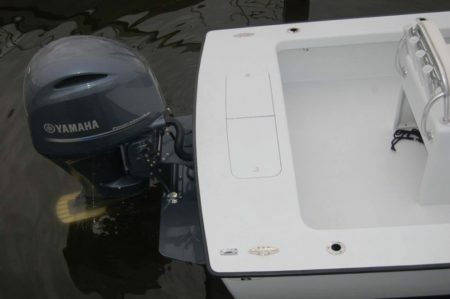 A 150 Yamaha provides ample power, and at a reasonable cruising speed it requires only half throttle. 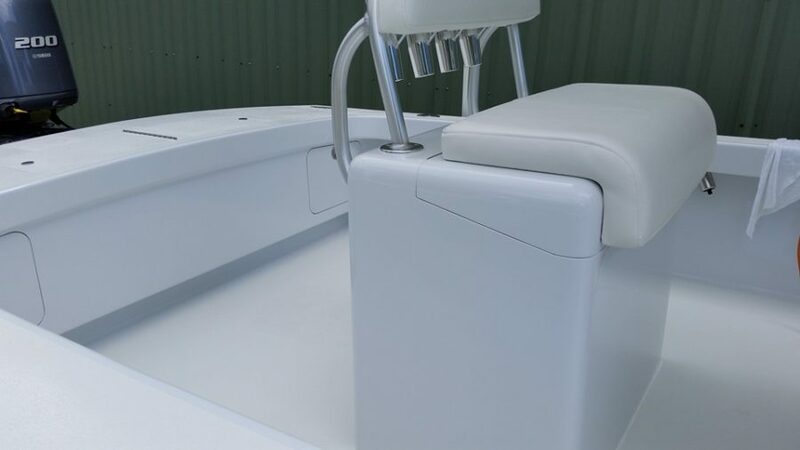 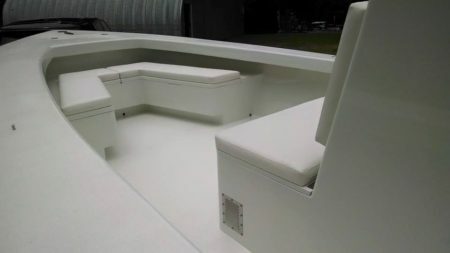 The boat is built with cold-molded construction techniques with 1208 biaxle fiberglass inside and out and all ocoume planking, bulkheads and decks. Both the hull and interior paint have been flattened out to a satin finish to reduce glare and make for quicker cleanup. Keeping this boat simple in layout, basic in finish and moderate in horsepower is what makes it affordable. 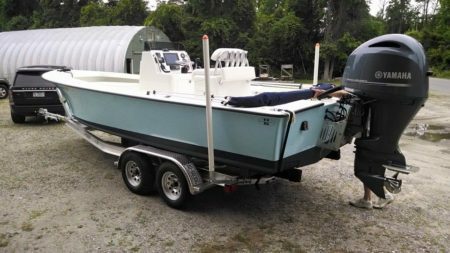 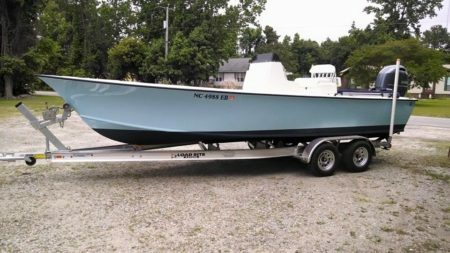 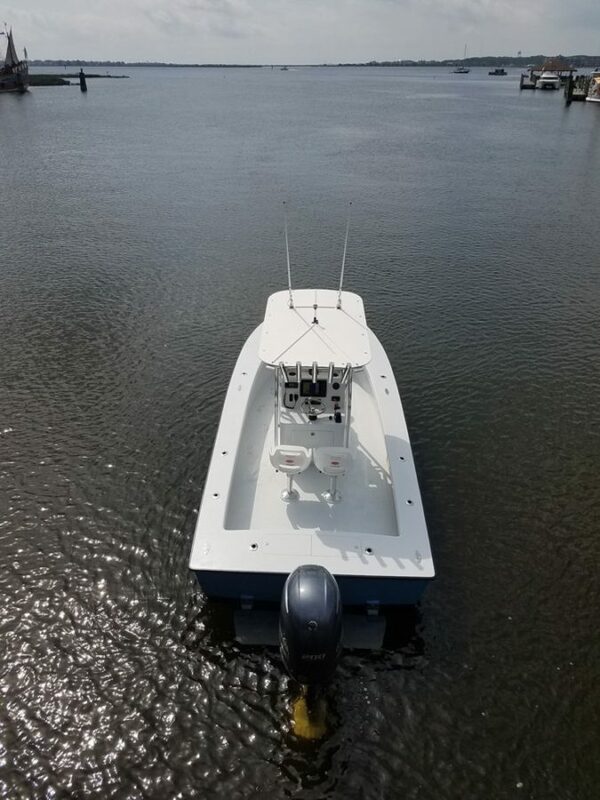 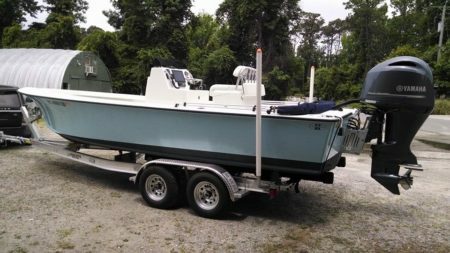 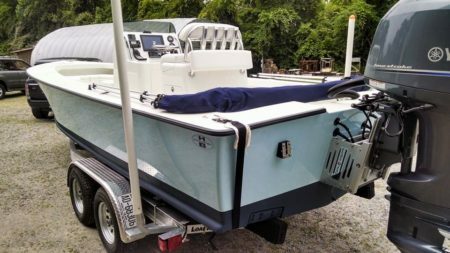 Other options for this size boat are a T-top, in-transom fishbox/live well or a leaning post with live well; bow deck anchor locker; upper retractable steer station and teak. 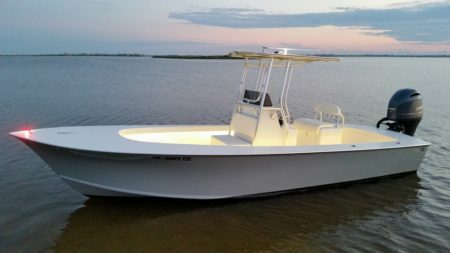 It’s a custom and you can have whatever your heart desires. 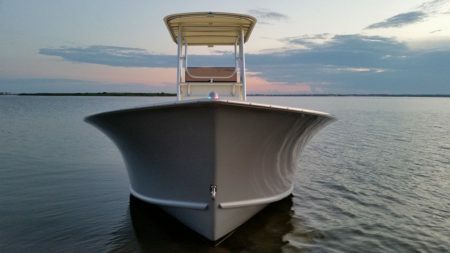 This is not a production boat. Each boat is crafted by hand and customized to the owner’s specifications. 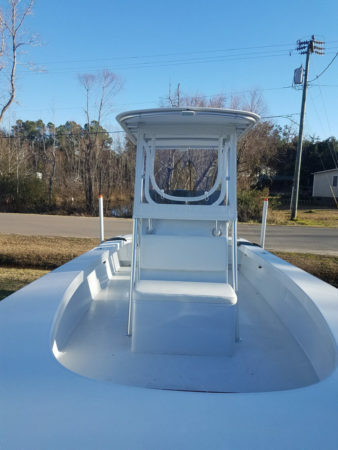 T-Top and/or upper station, tower, etc.